The draw for the quarter final of the UEFA Champions League has been just concluded. 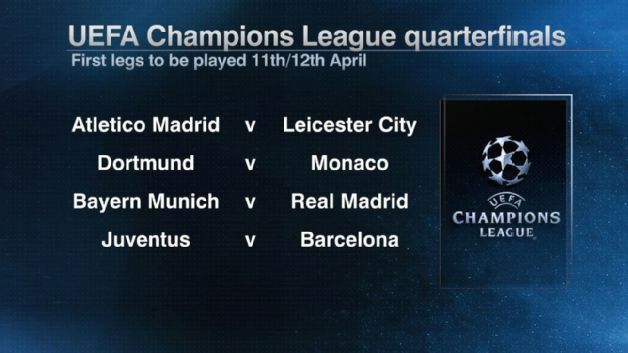 Real Madrid will face Bayern Munich in the Champions League quarterfinals, while Barcelona take on Juventus. Premier League champions Leicester City, who secured a surprise success over Sevilla in the round of 16, will play Atletico Madrid. The final tie sees Borussia Dortmund play Monaco, who defeated Manchester City on away goals in the last round. 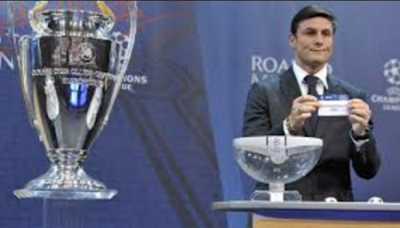 Real Madrid’s director of institutional relations Emilio Butragueno was disappointed at drawing Bayern Munich, and said he would have hoped to face them later in the competition. Which BPL Team Will Qualify From The UCL Knockout Stage?